Indeed it takes no effort at all to get the BDP-3 to play music. If you have music on a flash drive just connect it, press play on the front panel and the music starts playing. There is a complete set of transport control buttons as well as a display that shows artist and title, as well as a host of other info that can be browsed using the up/down/left/right buttons. One thing that sets this endpoint apart is that it can also be operated via an optional IR remote control, which is really handy for quickly pausing or skipping a track without using a tablet or getting out of the chair. The BDP-3 employs a customized Linux OS optimized for the best audio performance running on a custom Intel Celeron powered motherboard with 8GB of RAM. A high quality, high current linear power supply is built-in. USB outputs are available in several flavours: USB2 and USB3 fed from the motherboard and USB3 on a separate PCIe bus, to accommodate DACs that require being the only device on the entire USB bus. The BDP-3 plays high-resolution audio files (up to PCM 384kHz / 32 bit and DSD128) from a wide range of digital storage devices. Audio Formats supported include AIFF, FLAC, WAV, MP3, M4A, OGG, and other common audio file formats. In addition to the USB connectivity, the BDP-3 also includes a custom designed audio board which they call IAD (Integrated Audio Device) with very low-jitter, transformer-coupled SPDIF and AES/EBU outputs. By default, the BDP-3 is set up to accept an ethernet IP address that is handed to it by the router’s DHCP. 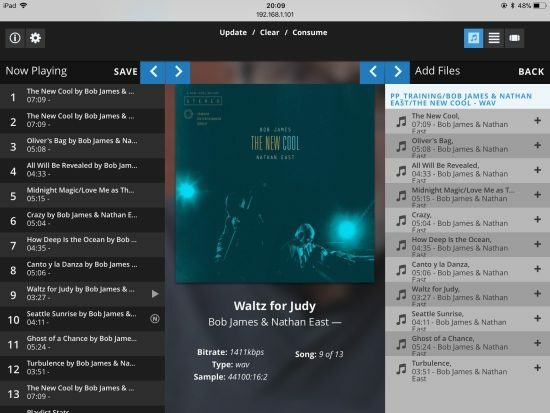 Using a network connection the music on the connected drive can be browsed, cued, stored in playlists and played via a web interface that allows access to all its settings, as well a Bryston-designed, built-in in media player app. 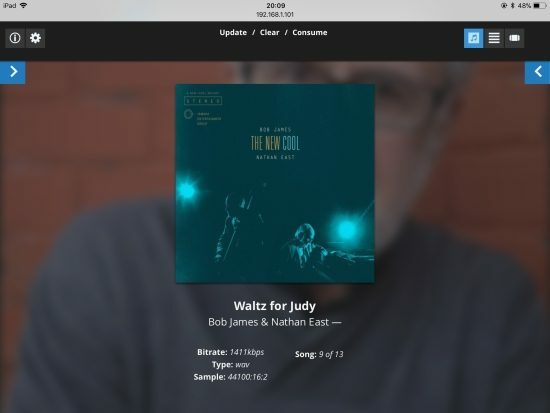 The app also has a very intuitive internet radio section based on the Shoutcast directory, called bRadio, that allows direct URL input, free text search or browsing by genre and subgenre. The beauty of a web interface is that it runs on any device with a web browser, so any PC, Mac, phone or tablet will work. The web interface can be found by simply typing http://my.bryston.com in the browser’s address bar. 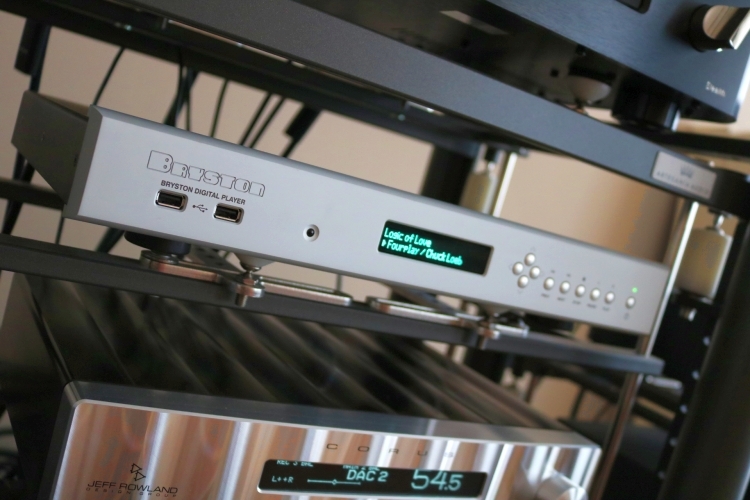 After this, the BDP-3, as well as other Bryston network devices, are automatically found and can then be controlled by clicking their respective button. But the BDP-3 does much more than this. 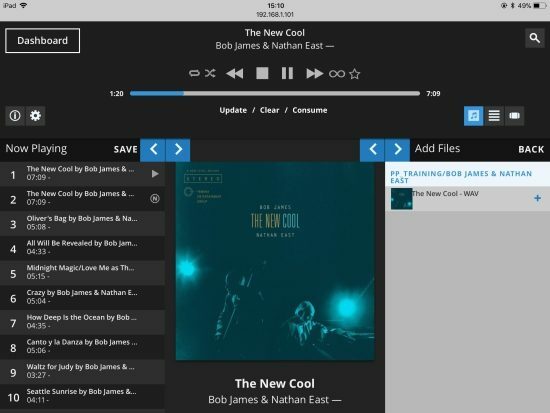 In addition to MPD which is used for its internal player, it also works with Tidal and can function as a Squeezelite, DLNA (UPnP) or Roon-ready endpoint. Using the Services tab on the web interface, the user can freely enable or disable any combination of the following services: MPD, Samba Server, USB mount, Roon Ready, Apple Shairport-Sync, Apple Shairplay, Squeezeslave, Squeezelite, DLNA Renderer, DLNA Server and DLNA Client. 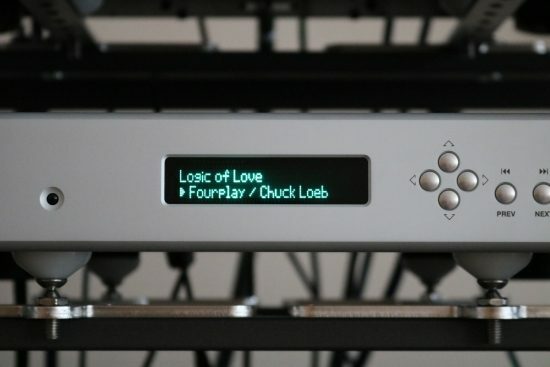 What is, in essence, a very intuitive and robust music player actually doubles as a super-configurable machine. You are not required to use all its functionality but I think it’s really great that it is all there. The app gives information on every conceivable parameter and even makes system logs easily accessible. Rather than describing all the possible functions and services, I will focus on the ones that I find most relevant: local playback and Roon Ready. By the way, if all this starts to sound complicated, rest assured that if things get messed up, all settings can be reset using the BDP-3’s front panel display and buttons, so you are always in control, even if the network is acting up. 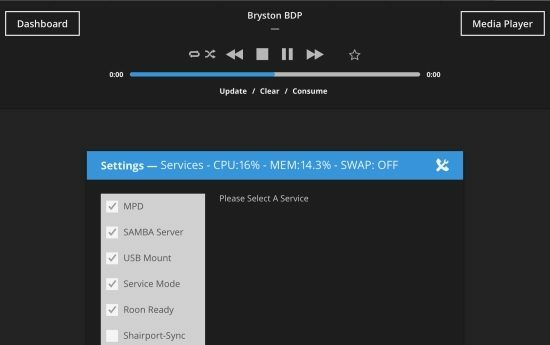 And should you run into issues that you cannot solve yourself then you can permit Bryston personnel to access the BDP-3 via its Service Mode. After having activated the desired services such as Roon and/or MPD, the only remaining setting to make is to choose which outputs to use. 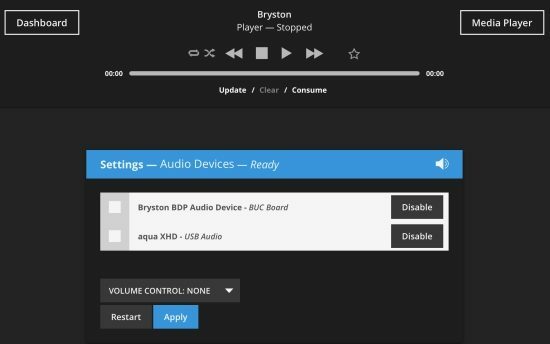 You can select either or both of the inputs on the Audio Devices tab of the Bryston app. Do note that Roon has its own output section via the Roon Service in the Bryston app, independent from the outputs selected on the Audio Devices tab, where similar settings can be made. It works like this on all Roon devices and it is just something to be aware of. 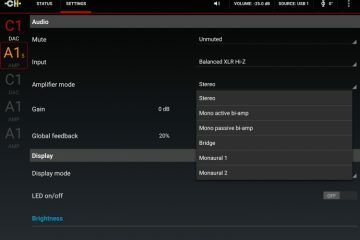 Above: overall audio devices settings. Below: Roon audio devices settings, reached via the Roon Service. In use I found the BDP-3 to be utterly stable and dependable. During the 4+ weeks that I used it, not once did it stutter or fail. 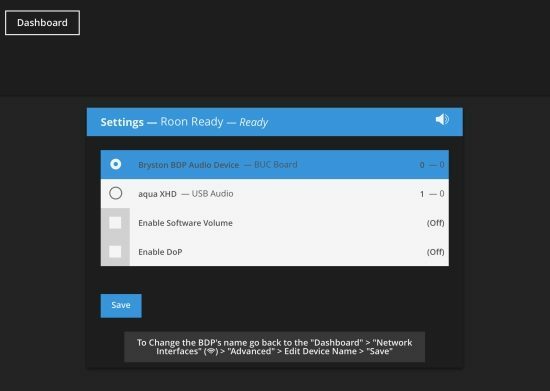 The BDP-3’s front panel transport buttons work when using the Media Player app to play local files from USB flash drive or drive but also when sourced from a NAS. A really nice surprise for me was to find that the buttons even work when the BDP-3 is in Roon Ready mode! Not only do they work with loaded playlists but also when Roon is in Radio mode. 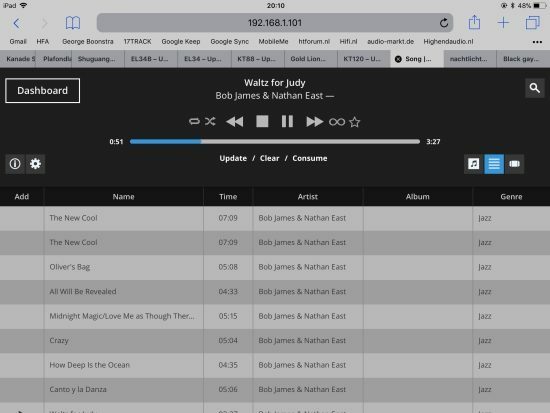 You can pause, skip back, skip forward and stop music playback while the display shows Artist and Song info. This way the BDP-3 operates just like a CD player. 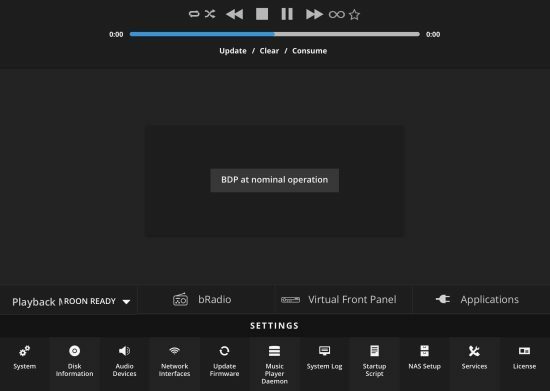 I’ve used the BDP-3 in two modes: as a Roon Ready endpoint and with a USB flash drive using the built-in Media player app. The system used is my regular review system, “enriched” with other components that happen to be over for review. 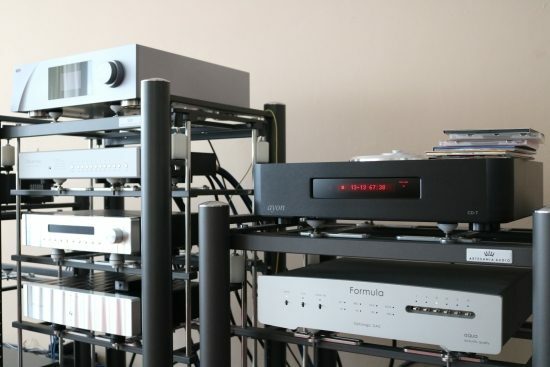 As such, I was able to use the BDP-3 with the Aqua Formula xHD DAC, the Bryston BDA-3 DAC, and the CH Precision C1 DAC/Controller. 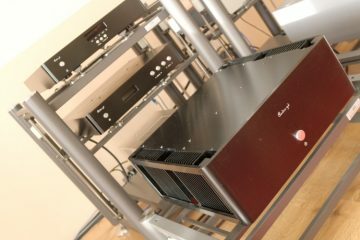 The preamp was either the Jeff Rowland Corus + PSU or the C1 in Controller mode and power amps were two CH Precision A1’s. Speakers used are the Wilson Watt/Puppy 8 and Martin Logan Renaissance ESL 15A (review forthcoming). For digital transmissions, I always use standard cables: a Belden RG59 for SPDIF and a Belden 1800F for AES/EBU. The AudioQuest Diamond was used for USB. 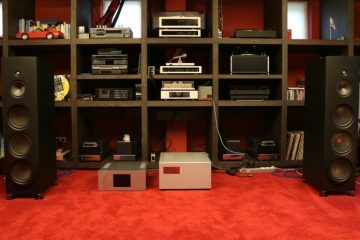 Starting with Roon Ready and the Aqua Formula xHD DAC, I compared the BDP-3 to the AudioAanZee Reference Flow with Euphony Drive. 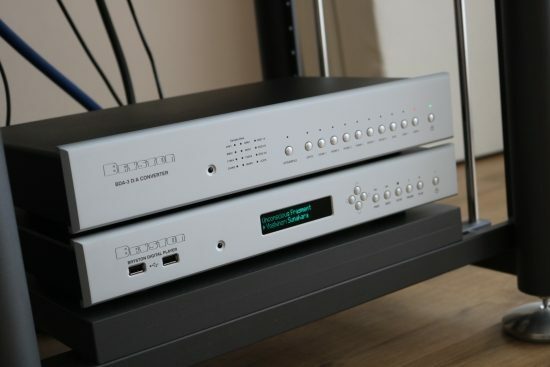 Because the DAC has only one USB input and the AudioAanZee server only has USB out, my initial comparison was done using the BDP-3’s AES/EBU output versus the AudioAanZee server’s USB output, both into the Aqua DAC. Interestingly these two endpoints sound very similar, interchangeable almost. Like the Reference Flow, the BDP-3 sounds musically pleasing, full-bodied and smooth, which to many will be preferable to the opposite. There is simply no hardness or dryness, or other stereotypical “digital” aspects of its performance. Of course, one could expect well-designed music servers or endpoints to sound similar but as I’ve learned over the years, this really is not the case. These are small differences, though. The BDP-3 sounds a little fuller in the midbass and seems to be a little bit more powerful in its overall delivery. However, I’m really comparing apples to oranges with USB versus AES/EBU. But knowing that USB always stands out from SPDIF and AES in a certain way, I expected to hear greater differences than I did. Normally SPDIF and AES/EBU sound fuller and more rounded, and sometimes a little soft when compared to USB on the same device. That these two servers sound so similar now actually speaks volumes about the quality of the Bryston IAD audio board. 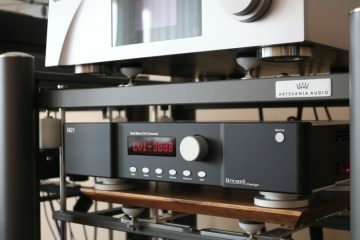 Having established its relative quality I proceeded to fully connect the BDP-3 to the Aqua DAC using all its outputs to allow easy switching between them. As mentioned, oftentimes I have found there to be obvious differences between AES/EBU and SPDIF. With the BDP-3 however, it’s not so easy to tell the difference between the two. After repeated switching, however, I did notice subtle, yet consistent deviations. 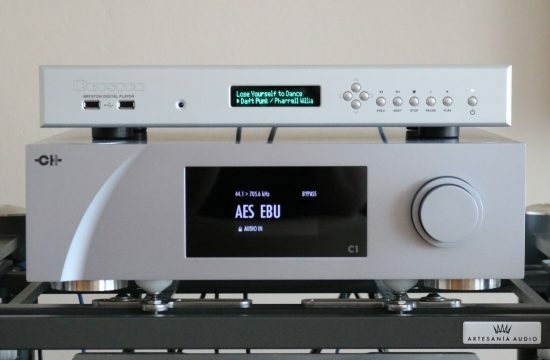 AES/EBU sounds a little bit more relaxed and sonorous and with a fuller bass than SPDIF, which matches well with the Logans which themselves are very transparent and clean-sounding. 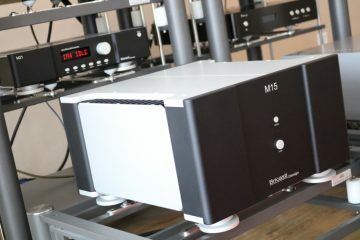 The BDP-3’s SPDIF connection, by comparison, is more articulate and slightly more forward and upbeat, which matches better with the Wilsons. Do note that these differences are also dependent on the cables that are used which makes it a relative matter. The BDP-3’s various USB outputs all sound slightly different from each other. In short: the lower USB 2 output sounds tighter and more articulate than the Bus 2 USB 3 output that sounds broader and fuller, and the lower USB 3 output falls somewhere in the middle between these two, meaning that there’s some room for tweaking should you want to undertake this. Each of the BDP-3’s USB outputs does indeed sound tighter and more direct than either digital output, but also a little drier, so depending on the rest of the system one might prefer one or the other. This is why it is good to have options! For all my comparisons described below, I used the BDP-3’s USB 3.0, Bus 2 outputs. The big surprise came after I concluded the Roon comparisons and I tried the BDP-3 with its built-in Media Player and music from a USB flash drive connected to its front panel. Although the app is functionally a little limited compared to iPeng and especially Roon, it offers some distinct advantages. It is very stable and easy to use and works on every device that runs a web browser. But more importantly, it sounds considerably better than when streaming via Roon. Used this way, the BDP-3 shows clear improvements in terms of transparency, directness and dynamic differentiation. The Media Player app has many different views. Each view is further customizable using panes that can slide over to to the sides or toward the middle. The blue arrows allow the panes to slide over partially or completely to either side. In addition to the views shown above, this creates many more possibilities, enabling the user to use the app precisely as desired. 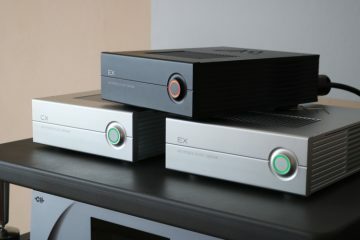 Let’s put the sound quality differences further into context: when using Roon and connecting via USB to either the Aqua Formula xHD DAC or the CH Precision C1 DAC, the BDP-3 sounds on par with the Reference Flow, which especially with the Euphony Drive is one of the better Music Servers and endpoints that I have used. 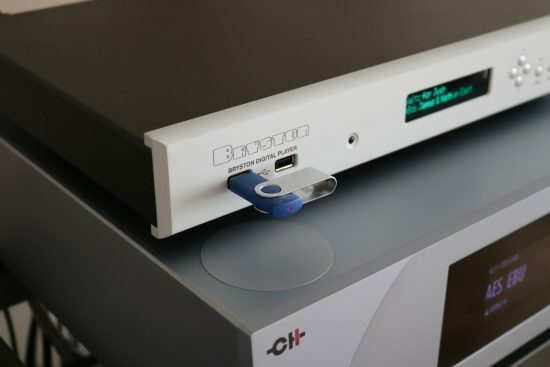 When using its built-in Media Player with local music (in this case on a USB flash drive) and either of its 3 outputs, however, the BDP-3 actually starts to approach the superb quality of the CH Precision C1 being streamed to directly via its UPnP ethernet card. Not many people will know of the C1’s quality, I suspect, so let’s pull out another example. 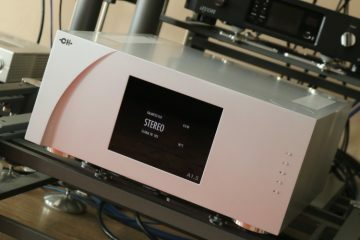 The BDP-3 when playing local files directly into any of the available DACs actually performs on the same level as the incredibly articulate and lively sounding Ayon CD-T II transport. This is not one of those transports that smooths the sound or provides a warm thickness, quite the opposite. Most servers, by comparison, sound a little restrained dynamically by means of a subtle rounding of the transients. 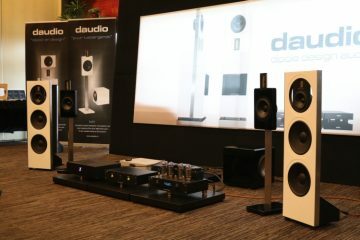 With the BDP-3 however, the music is every bit as lively, dynamic and engaging as with the CD transport. As always, I need to mention the relativity of my comparisons. 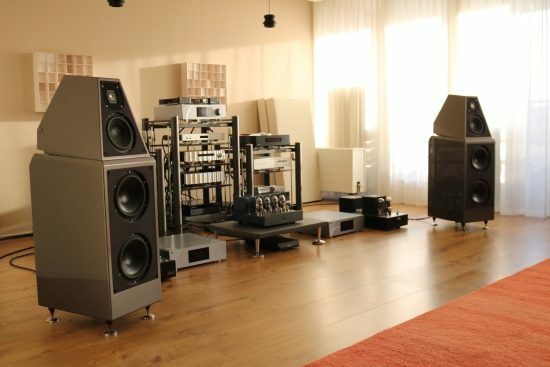 While the sonic differences are there for all to hear, they tie in with personal preference as well as system synergy. 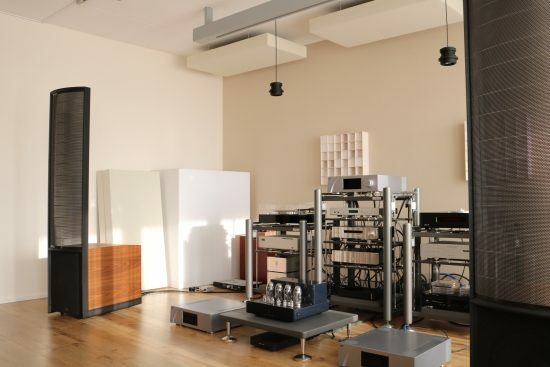 The nice thing about the Bryston BDP-3 is that it offers multiple musical perspectives, depending on how it is connected. This way, one can simply choose the most convenient and best sounding option, then forget about it and just operate it with ease. Above: BDA-3 DAC stacked nicely on top of the BDP-3. The Former is reviewed separately. 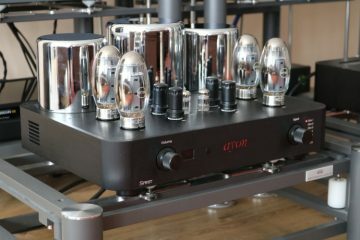 Bryston may be known mostly for their amps, but now having heard more of their components it is starting to look like everything they issue is simply excellent value, great-sounding, and built to last. The BDP-3 is no exception. Used as a streaming endpoint, the BDP-3 is a dependable, easy to operate and really great sounding device. A big selling point is its Roon Ready-ness, combined with its front panel display and buttons that actually control Roon’s queue. When using its built-in Media Player and playing local files, the BDP-3 further steps up the game and truly shines. In this mode, it actually performs on par with some of the very best digital sources that I have heard. Thanks for this review of one of the greatest ‘local file player’, Mr.Punter!! Yes, me too.., I like local playback more as network streaming solutions! The fact, that standard network streaming protocols are not a simple solution, makes the digital signal not precise enought and unwanted loads gets into the audio client! Fortunally, a local connected USB flash drive for the music library(specially an USB Memory Stick), sounds in my taste the Best, often better as internal SSD, like various audiophiles comes to the conclusion too!! An USB Memory device operates always in ‘slave’ mode.., for the audio host(local file player) the streaming mode out of the USB device, is very easy to handle and the power consumption of this USB Memory Stick is the most low of all solutions.., maybe this matters too!! Most important thing, based on a half computer based digital front end, like the BDP-3, is to have 2 complete separate power supplies, one for the CPU Mainboard, and one for the Audio-Out Board! 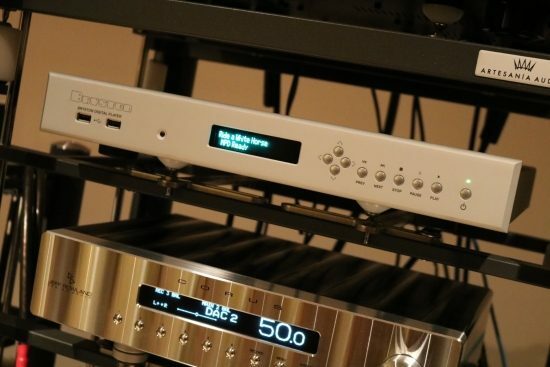 A lot of digital player like (Cambridge,Pioneer) has only one PSU for both worlds.., the resulting sound with this kind of digital front end, are closed, compressed & has no music flow! Generally, digital front end’s do not make a sound caracter, only the absense of noise and of course time-jitter, will let the music sounds as it best! I have noticed, that you usually takes for Coax an ‘RG59’ with its cooper conductors and for USB, you take the ‘Diamond’ with its silver conductors. In digital transmissions, cooper or silver matters a lot.., of course you feel a more rounded sound with your ‘RG59’ cooper coax.., take, in my opinion one of the best audio coax cables avaible today, from ‘Viablue’ with its true silver conductors and its ferrit filters, and I am sure, you will get with the BDP-3 similar good results, as with the PS Audio Directstream Memory Player with its I2S connections.., and of course better results as any USB connection!!! The Viablue ‘NF-75 SILVER DIGITAL RCA CABLE’ cost only about 80$/m! Highly recommended for everyone, handmade in Germany!! Me self, I have configurate for a ‘local file player’ the X-30 from ‘Cocktail Audio’, that of course inside has similar the BDP-3, at least 2 complete separate power supplies!! If all of you, your music library is not bigger as 500GB, so take a high quality(Kingston) USB Memory stick and take a local USB or SD to SPDIF transformation converter based gear, like the BDP-3, and no other digital front end will beat it!! First of all thanks for nice website and content. I do not know if we just have similar hearings or you are one the few guys who are honest enough to write what they hear.. I just added a BDP 3 to my system few weeks ago and now trying to find a power cord which fits streamers ( BDP-3 ie) . I found it is a very tricky one and different game then my usual norms. Thanks! Indeed I just write what I hear:-) As for a powercord for the BDP3 I’d suggest to first decide if you want to maximize its strengths or want to alter its character. The BDP3 is sensitive to power cords just as any other component is. Note that the perceived change may also be other components in the system reacting to a different cable in the power extension block. Especially cables that sound very warm can have this tendency. Personally I prefer neutral cables such as Belden and use very good connectors with these such as Oyaide 004. These do not alter the component’s sound and allow superb resolution without any filtering effect. If you let me know more about the direction that you want to take this, I can provide more focused advise. BDP-3 is clean, fast and dinamic with good seperation. 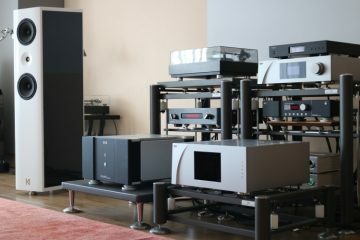 I indeed want to maximize its strengths and will not complain if could add a bit more body and earthiness to the sound. I fell that if you need to change the signature of the sound, one must play with DAC PC but not with streamer. Till know I tried stock cord ( i love stock cords 🙂 ) ,Furutech FP-TCS31 power cable and FI-28/FI-38 connectors (very good with exogal dac but with bdp , too syrupy , restricted, almost bloated, Acoustic Revive 8800 power cord with some Sonar quest Rhodium connectors. ( Best result yet, clean , fast, out of the box treble, but missing body and emotional involvement. I am from Turkey and funny thing is it is hard to find Belden power cords here. Ah yes, I can relate. Smoother sounding power cables can work miracles in some combinations but they can also suffocate the sound. Over the last 6 or so years, I have gradually removed most of the smooth and warm sounding cables from my system and now I only use Belden power cables with Bals and Oyaide connectors. Indeed, I agree, servers should be used with neutral power cables. If youw want more body with the BDP-3 then a Belden might be just the cable for you. Compared to stock cords it retains the speed and transparency but adds more energy and definition. You could also try a Lapp 110CY or 191CY cable for added body and bass fullness but you may also find that it “filters” off too much in other aspects. Hi Cialis, thanks for letting me know. However, I can’t see any overlapping issues on my end using Chrome, IE, Edge or Safari. Could you please be more specific and add the browser version?